Our nine NGNF Members are collectively responsible for fundraising, including seeking out donors, creating the shortlist of organizational applicants, overseeing the voting process, and making financial allocation determinations. All Member decisions, including allocations, are on a consensus basis. Haruka is a first generation shin-nikkei born in Tokyo who immigrated to San Francisco at age 2 and became a naturalized U.S. citizen at age 12. He grew up in the East Bay in Lafayette and first got involved with the Japanese American community as an active member of the Nikkei Student Union while attending UC San Diego as an undergrad. After graduating and moving back to the Bay Area, Haruka stayed involved with the community, joining the board of the San Francisco chapter of the Japanese American Citizens League and volunteering around the San Francisco Japantown community. In 2008 he co-founded the Nakayoshi Young Professionals volunteer service and social program of the JACL, and currently serves as Secretary of the JACL Northern California Western Nevada Pacific District Board as well as JACL National Vice President of Membership and Services. In addition, Haruka has also served as a youth representative on the advisory board of the California Civil Liberties Public Education Program as well as a member of the planning committee of the annual Jodo Shinshu TechnoBuddha conference. Professionally Haruka worked as a paralegal for eight years at a civil rights law firm working on prisoner rights advocacy and California state prison reform before switching careers to working in the community as Programs Manager at the Japanese Cultural and Community Center of Northern California in San Francisco Japantown. Kiyomi Takeda is a San Francisco native who grew up volunteering and participating in activities within the Japantown community. Kiyomi works for the California Pacific Regional Rehabilitation Center as an occupational therapist specializing in treatment for stroke survivors and individuals suffering from hand impairments. Within her volunteer efforts, Kiyomi is especially interested in assisting organizations that bring together the Japanese American communities inside and outside of San Francisco. Kiyomi currently serves as the board chair for the Nichi Bei Foundation, secretary of the Sakura Matsuri Inc, board, coordinates the Asian Artisans for the Nihonmachi Street Fair, and is also an active member of the Japantown Chounaikai. This year, she had the honor of serving as one of the general tri-chairs for the 50thAnnual Northern California Cherry Blossom Festival. Kiyomi, her husband Ken and their two bunnies (Azuki and Kinako) live close to Japantown in the Western Addition. Sean Miura is a Los Angeles-based community organizer, artist, and digital media professional. He is the producer/curator of Tuesday Night Cafe, the nation's oldest Asian American free art/performance series now heading into its 20th season. He has written pieces centered around history and culture for outlets like Hyphen Magazine, Nerds of Color, Reappropriate, and the Harvard Asian American Policy Review. Sean is also a shamisen practitioner who has studied/toured with the Sawai Koto Academy in NY and currently studies with the Sasaki Mitsuru Sangenkai in Gardena, California. He currently works at BuzzFeed as an Strategic Planner. In addition to serving as a Los Angeles representative for NGNF, Stacy Toyota is the co-founder and board member of Kizuna, an organization based in Los Angeles’ Little Tokyo that is dedicated to educating, engaging and empowering the next generation of leadership in the Japanese American community. She has worked for various non-profit organizations in Little Tokyo including the Japanese American Citizens League, the Japanese American Cultural & Community Center, and the California Japanese American Community Leadership Council. Stacy currently works in human resources at NBCUniversal. She has a BA in Human Development from UC San Diego, where she credits her involvement with their Nikkei Student Union in sparking her passion for serving the Japanese American community. Megan Ono is a Los Angeles native, currently pursuing a Masters of Nonprofit Leadership & Management (MNLM) at the University of Southern California and working as the Graduate Intern at the City Scholars® Foundation, where she utilizes her creative communications and marketing background to support the foundation’s mission to empower nonprofit CEOs to lead well with limited resources. Her former work experience includes fundraising and resource development at the Earl Burns Miller Japanese Garden, CSULB and community relations for the Los Angeles Lakers. 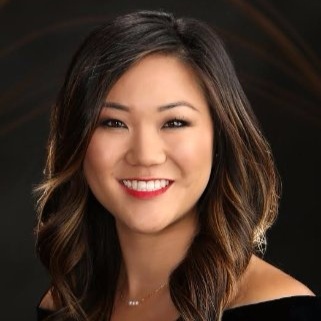 Megan’s passion for and involvement in the JA (Japanese American) community stems from her participation in community activities like Buddhist church, JA basketball and cultural/leadership programs. She is committed to preserving those same experiences for generations to come. Megan is a board of directors member for Kizuna, a Little-Tokyo based youth leadership non-profit. She served as a Goodwill ambassador on the 2016 Nisei Week Court and is an active committee member/volunteer for numerous nikkei community organizations. Ellen Kamei is a multi-lingual, multi-ethnic Silicon Valley native. Her mother in Chinese and Puerto Rican and her father a sansei born at Heart Mountain Internment Camp. She has professional experience in local, state, and federal government as well as political campaigns and politics. Currently, she serves as District Director for a Member of the California State Assembly. Ellen grew up participating in San Jose Japantown activities such as Girl Scouts, San Jose Judo, Suzume No Gakko, and the San Jose Buddhist Temple Betsuin Junior Young Buddhist Association (YBA). She is an alumnus of the Japan Exchange and Teaching (JET) Program and U.S. - Japan Council Emerging Leaders Program. She is on the board of the Japantown Community Congress of San Jose and formerly served as the intern supervisor for the Nikkei Community Internship Program for four years. Matt Ogawa is one of our representatives from San Jose Japantown. A bay area native, his full time job is leading an HR team, all focused on how to best support, grow and scale teams, at Facebook, Inc. Matt is involved in many facets of the San Jose Japantown community serving on the board of directors for the San Jose Buddhist Temple Betsuin and as a youth advisor for the Jr. YBA program. He is also a performer with both the San Jose Taiko group and Michiya Hanayagi Kai. Matt also serves on the board of directors for the SV Creates arts non-profit and consults with Kristi Yamaguchi's always dream foundation. Matt also spends time leading cross-company efforts with Asian Pacific Islander leaders, across the bay area, on how to support our local community and to help move focus on advancing more API's into corporate leadership. Tamiko Rast is a fine artist, tattooer, graphic and web designer from San Jose. She and her brother, Miles, founded a website development company called Rasteroids over 15 years ago. She is the President of the Japantown Business Association and member of the City of San Jose Arts Commission. Tamiko was the lead artist for the Japantown Mural Project, a public art project that spanned a quarter-city block and included the works of 50 local artists. She produces fine art commissions and has shown her oil paintings and woodblocks at solo shows for The Arsenal and Cukui, and in collaborative and group shows for Empire Seven Studios. Her family owns and operates Roy’s Station, a coffee shop in the heart of Japantown, and she is very involved with the Japantown community. Ryan Kimura is one of the San Francisco Japantown NGNF members. Born and raised in the City, he has been fortunate enough to be involved with J-town as a child attending the JCYC after school program, interning as a Nikkei Community Intern at the Center, opening and running the Pika Pika Purikura Photo Booth Store. In addition, he was the Director of Programs and Community Affairs at the Center, and has made his was to serving as a board member currently. You can find Ryan, yelling and pounding on the drums with the San Francisco Taiko Dojo, which he considers his soul source and creative outlet. Currently, he works for the City of San Francisco as a Diversity and Inclusion Workforce Development Leader. Kimberly Kawasaki is one of the representatives of the Los Angeles area. She grew up in South Pasadena, as the youngest of five siblings, two brothers and two sisters, one being a twin sister. Kimberly has always had a connection to the Japanese American community growing up in the Japanese American basketball leagues since she was seven years old. It was within the last seven years has she become more involved in the Little Tokyo community working at Little Tokyo Service Center as the Community Gifts Manager for the Terasaki Budokan project. Since 2011 she has been a part of the team to raise $26million in order to build the Terasaki Budokan, a multi-purpose recreational facility to be built in Little Tokyo, downtown Los Angeles.